Political corruption comes in two forms. Most familiar is the hand-in-the-till variety: bribes, payoffs, influence-peddling, lobbyists lining the pockets of public officials in exchange for access and favors. This corruption thrives in secrecy, and is usually condemned when exposed. But another kind of corruption arises, by degree, in full public view. It involves no theft or fraud, but rather a change in the habits of citizens, a turning away from public responsibilities. This second, civic corruption, is more insidious than the first. It violates no law, but enervates the spirit on which good laws depend. And by the time it becomes apparent, the new habits may be too pervasive to reverse. Consider the most fateful change in public finance since the income tax: the rampant proliferation of state lotteries. Illegal in every state for most of the century, lotteries have suddenly become the fastest-growing source of state revenue. In 1970, two states ran lotteries; today, thirty-seven states and the District of Columbia run them. Nationwide, lottery sales exceed $34 billion a year, up from $9 billion in 1985. The traditional objection to lotteries is that gambling is a vice. This objection has lost force in recent decades, partly because notions of sin have changed but also because Americans are more reluctant than they once were to legislate morality. Even people who find gambling morally objectionable shy away from banning it on that ground alone, absent some harmful effect on society as a whole. Freed from the traditional, paternalistic objections to gambling, proponents of state lotteries advance three seemingly attractive arguments: first, lotteries are a painless way of raising revenue for important public services without raising taxes; unlike taxes, lotteries are a matter of choice, not coercion. Second, they are a popular form of entertainment. Third, they generate business for the retail outlets that sell lottery tickets (such as convenience stores, gas stations and supermarkets) and for the advertising firms and media outlets that promote them. What, then, is wrong with state-run lotteries? For one thing, they rely, hypocritically, on a residual moral disapproval of gambling that their defenders officially reject. State lotteries generate enormous profits because they are monopolies, and they are monopolies because privately operated numbers games are prohibited, on traditional moral grounds. (In Las Vegas, where casinos compete with one another, the slot machines and blackjack tables pay out around 90 percent of their take in winnings. State lotteries, being monopolies, only pay out about 50 percent.) Libertarian defenders of state lotteries can’t have it both ways. If a lottery is, like dry cleaning, a morally legitimate business, then why should it not be open to private enterprise? If a lottery is, like prostitution, a morally objectionable business, then why should the state be engaged in it? Lottery defenders usually reply that people should be free to decide the moral status of gambling for themselves. No one is forced to play, they point out, and those who object can simply abstain. To those troubled by the thought that the state derives revenue from sin, advocates reply that government often imposes “sin taxes” on products (like liquor and tobacco) that many regard as undesirable. Lotteries are better than taxes, the argument goes, because they are wholly voluntary, a matter of choice. But the actual conduct of lotteries departs sharply from this laissez-faire ideal. States do not simply provide their citizens the opportunity to gamble; they actively promote and encourage them to do so. The nearly $400 million spent on lottery advertising each year puts lotteries among the largest advertisers in the country. If lotteries are a form of “sin tax,” they are the only kind in which the state spends huge sums to encourage its citizens to commit the sin. Not surprisingly, lotteries direct their most aggressive advertising at their best customers—the working class, minorities and the poor. A billboard touting the Illinois lottery in a Chicago ghetto declared, “This could be your ticket out.” Ads often evoke the fantasy of winning the big jackpot and never having to work again. Lottery advertising floods the airwaves around the first of each month, when Social Security and welfare payments swell the checking accounts of recipients. In sharp contrast to most other government amenities (say, police protection), lottery ticket outlets saturate poor and blue-collar neighborhoods and offer less service to affluent ones. Massachusetts, with the highest grossing per capita lottery sales in the country, offers stark evidence of the bluecollar bias. A recent series in The Boston Globe found that Chelsea, one of the poorest towns in the state, has one lottery agent for every 363 residents; upscale Wellesley, by contrast, has one agent for every 3,063 residents. In Massachusetts, as elsewhere, this “painless” alternative to taxation is a sharply regressive way of raising revenue. Residents of Chelsea spent a staggering $915 per capita on lottery tickets last year, almost 8 percent of their income. Residents of Lincoln, an affluent suburb, spent only $30 per person, one-tenth of 1 percent of their income. For growing numbers of people, playing the lottery is not the free, voluntary choice its promoters claim. 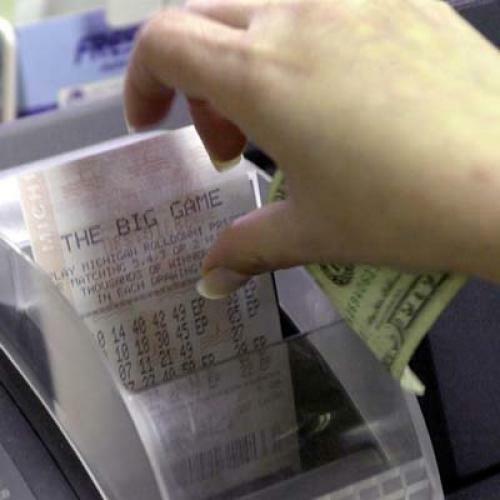 Instant games such as scratch tickets and Keno (a video numbers game with drawings every five minutes), now the biggest money-makers for the lottery, are a leading cause of compulsive gambling, rivaling casinos and racetracks. Swelling the ranks of Gamblers Anonymous are lottery addicts, like the man who scratched $1,500 worth of tickets per day, exhausted his retirement savings and ran up debt on eleven credit cards. Meanwhile, the state has grown as addicted to the lottery as its problem gamblers. Lottery proceeds now account for 13 percent of state revenues in Massachusetts, making radical change all but unthinkable. No politician, however troubled by the lottery’s harmful effects, would dare raise taxes or cut spending sufficiently to offset the revenue the lottery brings in. With states hooked on the money, they have no choice but to continue to bombard their citizens, especially the most vulnerable ones, with a message at odds with the ethic of work, sacrifice and moral responsibility that sustains democratic life. This civic corruption is the gravest harm that lotteries bring. It degrades the public realm by casting the government as the purveyor of a perverse civic education. To keep the money flowing, state governments across America must now use their authority and influence not to cultivate civic virtue but to peddle false hope. They must persuade their citizens that with a little luck they can escape the world of work to which only misfortune consigns them. This article appeared in the March 10, 1997 issue of the magazine.